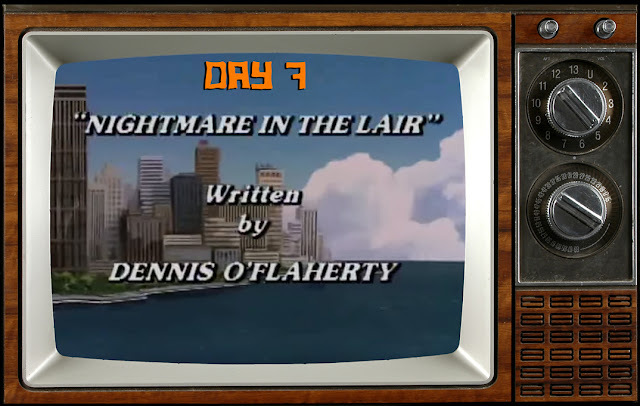 There are no sweet dreams on Day 7 with Nightmare in the Lair from Season 6! Donatello's latest invention allows the Turtles to experience their wildest dreams like they were a reality. While taking turns with the device, something goes incredibly wrong and their fantasy worlds morph into frightening nightmares. 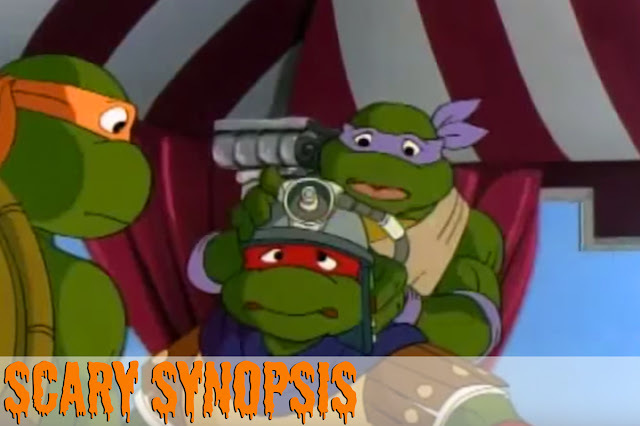 A mysterious creature seems to be responsible, keeping Michelangelo and Leonardo trapped within a hellish hallucination. Whether the episode is paying homage or blatantly ripping off Nightmare on Elm Street, I don't care. Nightmare in the Lair is awesome. The maestro of dreamy terror and star of the episode is the one and only, Freddy Krueger Creepy Eddie. The shapeshifting, fear-inducing dude refers to his territory of dreams as Nightmare Land. Here, he drags the Turtles through a series of tormenting fantasies. To make Eddie less Freddy, he's been stripped of his iconic glove of knives, given a genie-like lower half, has a bugged-out eyeball, and wears a bowler hat instead of a fedora. Even with the changes, Eddie still embodies the classic Freddy mannerisms with a mix of humor and horror. He also similarly stalks victims in their dreams with his blend of mind-bending, shapeshifting scares. The cream of the horror crop comes in the sound design. 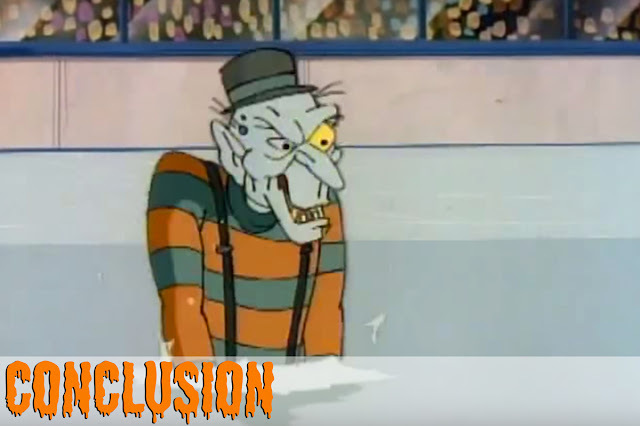 Although Eddie doesn't have Freddy's glove of knives, the chilling, scraping sound effect is still interspersed throughout the episode. You have to listen carefully, but it is there. One, two, Creepy Eddie is coming for you. 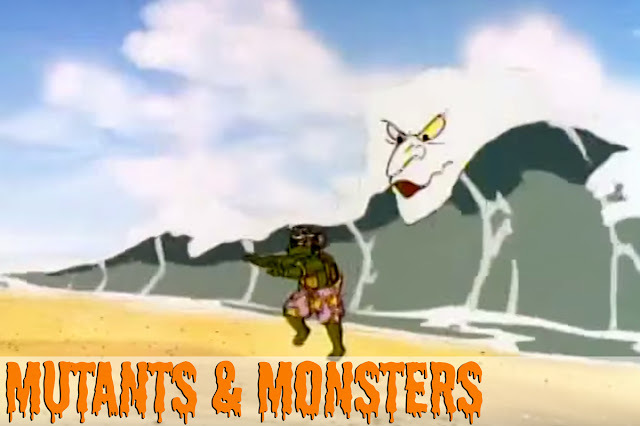 Creepy Eddie flexes his spooky, creative skills throughout the episode. But when he brings a Turtle-eating hockey goal post to life, that's when the scares really shine. The horrifying creature slithers its tongue around Michelangelo, dragging him beneath the ice to another layer in a world of nightmares. The scene drips Nightmare on Elm Street-style - especially with the grotesque use of a tongue (one of Freddy's classic scare tactics). Raphael's dream sequence is the eye-rolling moment of the episode. The sarcastic Turtle whips up the unusual fantasy of being at sea on a ancient ship, while his brothers do slave labor and feed him grapes. Of all of the visions one could create, why this? Although it acts as an introduction for Creepy Eddie, the scene is laughable at best. 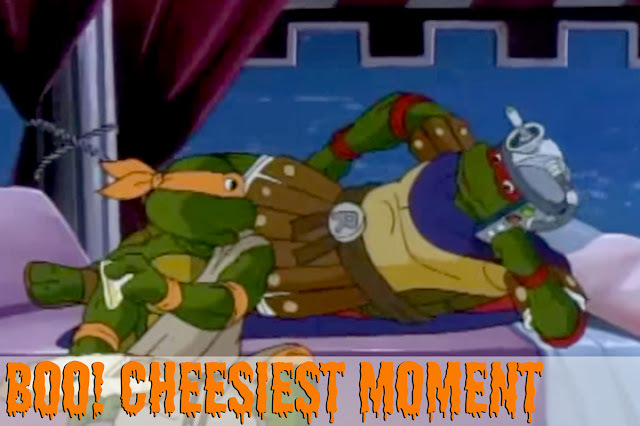 Nightmare in the Lair is one of the best TMNT episodes you can watch during the Halloween season. Creepy Eddie brings cartoon hijinks and monster mayhem, almost making it a fun game to spot the dopey similarities to Nightmare on Elm Street. Too bad he didn't pull a Freddy and make a bunch of sequels. 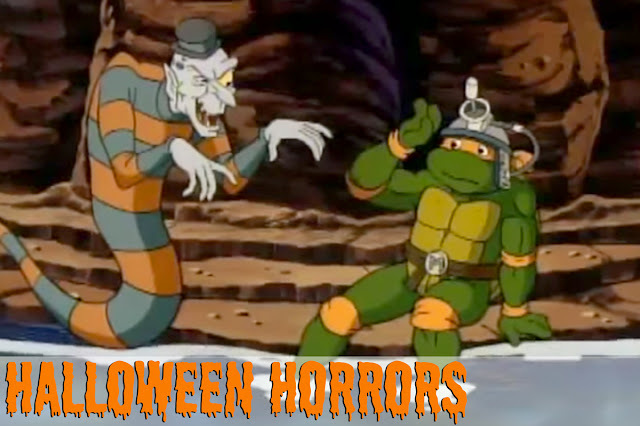 Check back tomorrow for Day 8 of Horrors In A Halfshell! So, were the Dream Beavers a direct reference to this? I was wondering that...if the creators of the Nick series were aware of this episode. Be interesting to ask at a Q&A or something.